Redbrick Solutions have announced that ReviewSolicitor will be joining them on their current seminar series along with Legal Eye, mmadigital and Wesleyan. ReviewSolicitor, the trip advisor style review site, launched last week with much discussion amongst the profession. See www.reviewsolicitors.co.uk for more information. The seminars are running in a number of venues, with London proving extremely popular and almost being sold out within it’s first week. 90% of delegates so far are managing partners. The sessions are morning only and will focus on how to grow the law firm whilst ensuring you remain compliant and will take a look at the most common compliance risks during high growth phases. 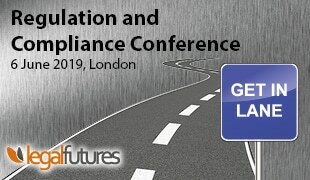 Legal Eye are providing all delegates with a free website compliance review and Redbrick Solutions are giving away a £50 Amazon voucher at each venue. The seminars are suitable for managing partners, financial directors, nominated persons, practice managers and senior partners and are essential for any law firm with plans to grow in 2015/16. 11th June, Cheadle, Abney Hall, Manchester Road. 15th June, London, the Law Society, Chancery Lane. 19th June, Bristol, Armada House, Telephone Ave.
Each seminar will attract 4 hours CPD and is priced at just £49 + vat. Please visit Redbrick Solutions events page https://www.redbricksolutions.co.uk/events/ for further information. You are urged to book promptly if you are interested in attending these events as places are offered on a first come first served basis and are selling out very quickly.